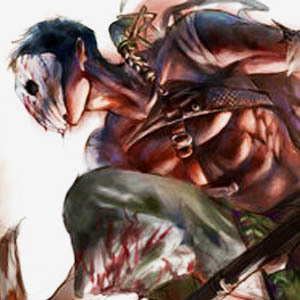 When out on missions he wears a skull mask that is stained by the blood of his enemies. His calling card is the removal of the skull, but he leaves the jaw on the body. It is said that he owns a room where he displays this collection. He was almost caught on an attempt on the life of a “undocumented” pheonix elf noble. The guards that cornered him were found a week later in a basement half a mile away, each one was missing their skull. The wall had been mural-ed with a large red skull, painted in blood.